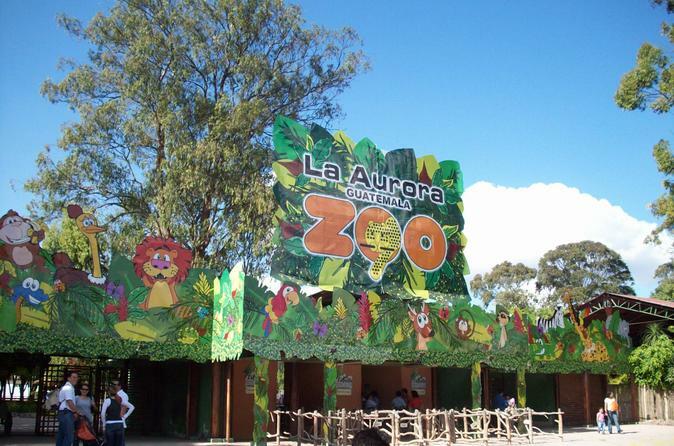 Visit La Aurora Zoo (Parque Zoológico La Aurora), where you can observe animals from Guatemala, Africa, Asia, and Patagonia with your admission ticket. Ideal for walking and getting an up-close look at the world's different wildlife, the zoological park features permanent exhibits including giraffes, hippos, tigers, and elephants. Round-trip hotel transport is provided from Guatemala City. You will be picked up between 8:30am and 9:00am from your hotel in Guatemala City and taken to La Aurora Zoo, considered one of the best zoological parks in Central America. On arrival, around 9:30am, you will walk around to complex and see a range of animals from different areas of the world. You'll learn about various animal habitats including Guatemalan forests. After your visit to the zoo, you're driven back to your hotel between 1:00pm and 1:30pm. Also you can enjoy some meal or beverage in the food court located at the entrance of the zoo that have a wide variety of food like pizza, hamburgers, fried chicken, Chinese food and others.